Trisquel GNU/Linux – a fully free operating system for home users, small enterprises and educational centers. Trisquel is derived from Ubuntu, but only includes free software. It’s free in the freedom sense. Users may run, copy, distribute, study, change and improve Trisquel (or any part of it). The project began in 2004 with sponsorship of the University of Vigo for Galician language support in education software. The project director is Rubén Rodríguez. – A small download, text mode installer or with the command line interface and requiring an Internet connection to set up. – Sugar desktop interface integrates collaboration, reflection and discovery. 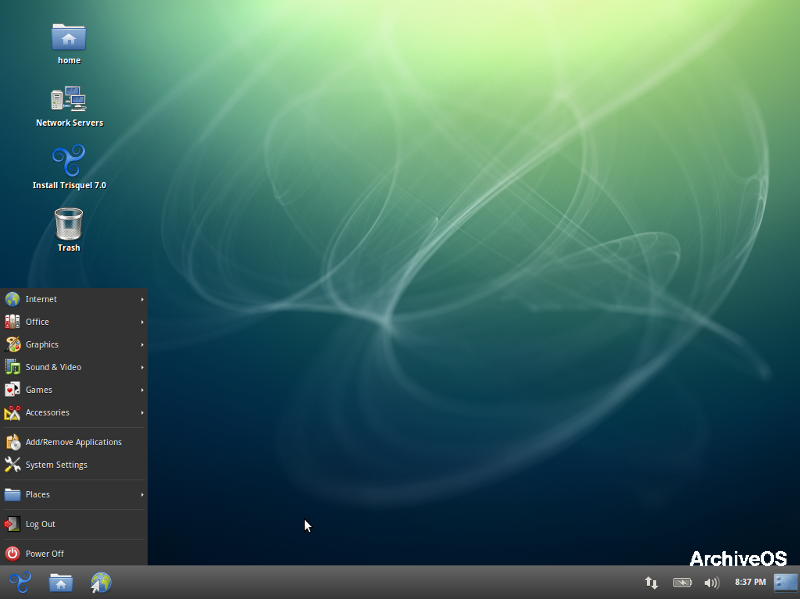 Trisquel 1.0 was based on Debian 4.0 (Etch), but all next versions are based on Ubuntu. In 2008, Trisquel was included by the Free Software Foundation (FSF) in its list of Linux distributions endorsed by the Free Software Foundation.